Ctenanthe Amagris – as cute as a button! This petite foliage plant features minty green leaves with a dark herringbone pattern. The underside of the leaves are purple. A member of the ‘prayer plant’ Calathea family, Ctenanthe Amagris will raise its leaves at night and lower them again during the day. 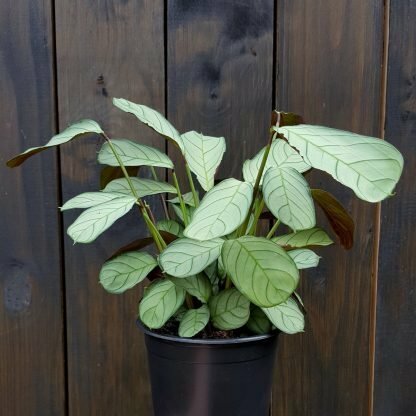 This easy-going plant friend loves a warm and humid location, but not direct sunlight. Water regularly but allow the surface of the soil to dry out slightly between waterings. 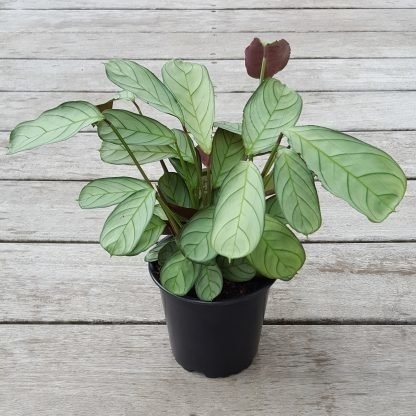 Supplied in a 12cm black plastic nursery pot with drainage.